So if all things are equal (which is rarely the case) a higher bitrate image with a higher resolution “may” produce a higher quality image than a lower bitrate image with a lower resolution. Once we have determined bitrate the next primary factor to consider is the Codec being applied and the quality of the resulting data. Video in its raw uncompressed format is typically too large to accommodate for purposes of storage, transmission and broadcasting. In order to create efficiencies trade-offs are made between minimizing the bitrate by compression and maximizing the recorded quality. 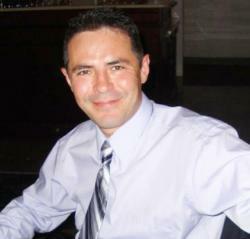 Programs called “codecs” are used to accomplish the task. 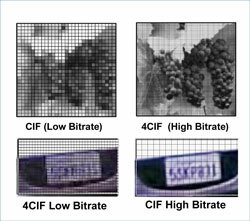 In digital video to reduce the bitrate a “lossy” compression codec is utilized. A lossy compression is a method which discards some of the information or data which is not critical to the scene, thus resulting in a lower bitrate. When lossy data compression is used on audio or visual data, differences from the original signal are introduced since data has been discarded. If the compression is too aggressive it becomes noticeable in the form of compression artifacts, which appear in the form of blocky mosaic images. Whether these affect the perceived quality, and, if so how much; depend on the compression scheme, encoder power, characteristics of the input data, the viewer’s perception and familiarity with artifacts. Some codecs are more efficient than others at compressing data. Earlier encoding technologies date back more than half a century (Huffman algorithm), which surprisingly enough although not very efficient are still used today. 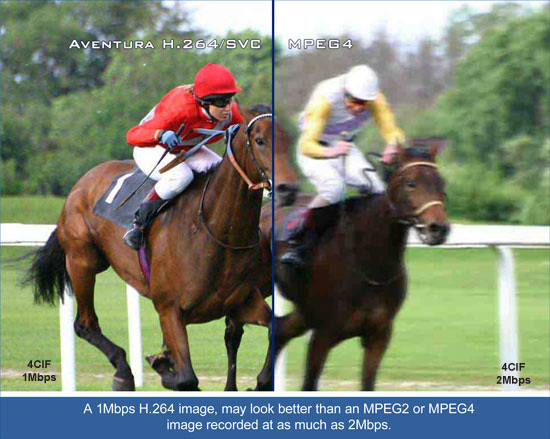 H.264AVC is the first of what are known as “complex” codecs, which can yield up to 50% better compression than MPEG2 and up to 30% better than MPEG4. Better compression means lower bandwidth requirements and faster downloads times. Also, the resulting H.264 video quality is up to 40% superior then MPEG2 and MPEG4. Complex codecs have various other attributes that make them more “intelligent” and capable of dealing with unique situations relative to security. For example, pan-tilt-zoom (“PTZ”) cameras are commonplace in the surveillance world. When swinging the PTZ cameras older codecs tend to have difficulties in analyzing and processing the scene content either intelligently or quick enough and as such compression artifacts are prevalent and at times may be severe. H.264AVC has several unique characteristics not available in predecessor codecs, which enable it to stabilize fast moving images.